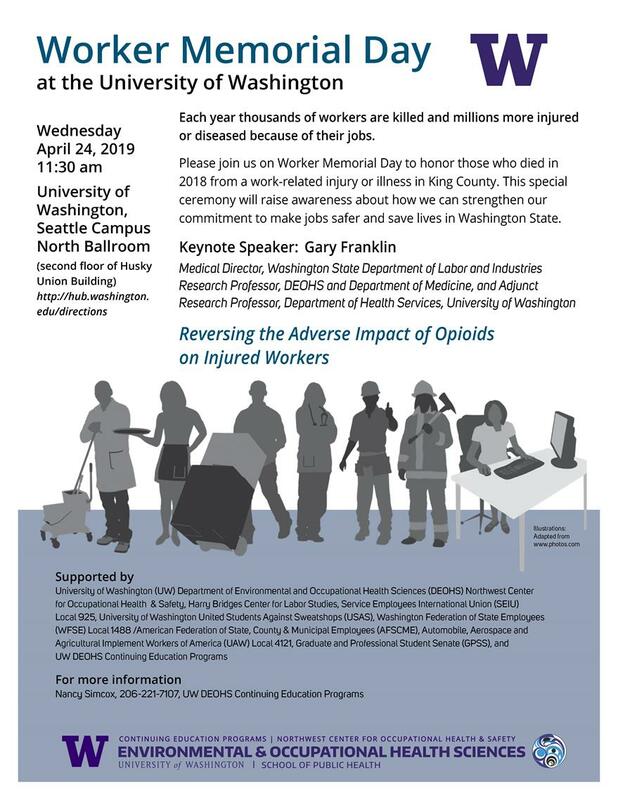 Wednesday, Apr 24, 2019, 11:30 a.m. – 12:30 p.m.
or diseased because of their jobs. commitment to make jobs safer and save lives in Washington State. Keynote Speaker: Gary Franklin, "Reversing the Adverse Impact of Opioids on Injured Workers"